Chichester Yacht Club is a Premier Wedding Reception and Ceremony Venue in Chichester, West Sussex. We are situated only three miles from Chichester City Centre. It is the perfect location to celebrate your wedding or civil partnership. The venue sits right on the water’s edge. Located in an area of outstanding natural beauty, our function rooms offer unspoiled views over Chichester Harbour towards the South Downs National Park. In addition, we can offer ample free parking for you and your guests. Our lovely garden with decking and lawns to the water’s edge provide the perfect setting to host your guests’ arrival with welcome drinks served with our homemade canapés. Visit Chichester Yacht Club to see what we can offer. An idyllic spot for photographs with further seascape views from Saltern’s Canal Lock, or our pontoons, will enhance your memorable day. Some couples have even arranged to arrive by boat with their guests lining the Balcony or foreshore, for that really special picture. Avoid the trouble of finding additional venues and moving your guests from location to location. Chichester Yacht Club is now Licensed for Ceremonies so why not host your entire day with us. Performed in our Upper Deck room for up to 100 guests, with floor to ceiling windows looking out on stunning views of Chichester Harbour and the South Downs National Park, Chichester Yacht Club offers a unique venue for your Ceremony or Civil Partnership. You will have exclusive use of the Upper Deck with dance floor and Balcony for up to 120 guests with our own in house catering, dining combinations and reception planner to suit your individual needs: all at affordable prices and promising a stylish and relaxing experience. Your wedding planner will be with you all the way from first meeting to your special day ensuring individual pricing, affordability and flexibility to fashion the celebration of your dreams. Likewise the Head Chef will be on hand to advise on your wedding breakfast choice and planning. We perfectly understand that families might wish to add their own personal touch. Generally the Upper Deck and Balcony will be made available from up to two days before the reception to create your own individual ambiance. But equally important you can just leave everything to the team should you wish. We can also offer accommodation for you and your guests. So why not make your event really special by making a short break of it in our stylist accommodation. Chichester Yacht Club is a great venue for a stylish day: experience the difference! 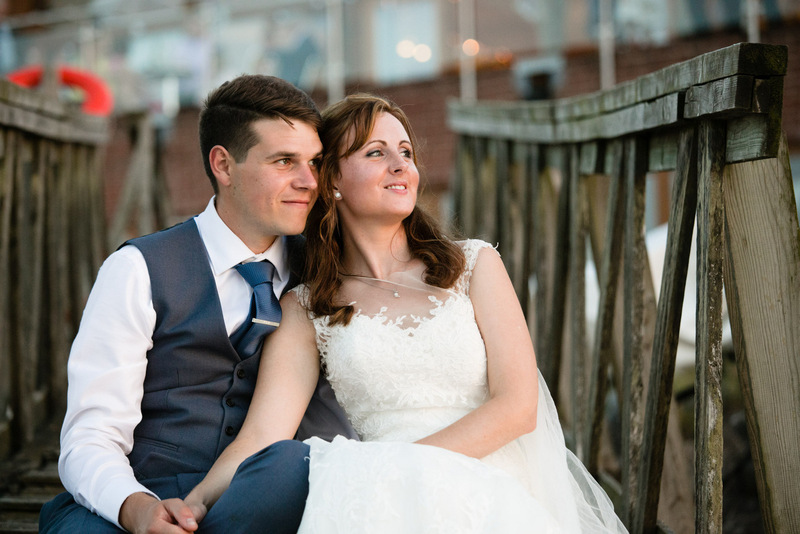 To book your wedding reception at Chichester Yacht Club, or to make arrangements for a visit, please telephone our office on: 01243 512 918 or you can e-mail us at: office@cyc.co.uk.